LATEXO – The Grapeland Sandies are still trying to get their basketball legs underneath them after a deep run in the football playoffs. However, basketball season is upon us and with barely five practices under their belt, the Sandies opened district play on the road against the Latexo Tigers on Tuesday night. 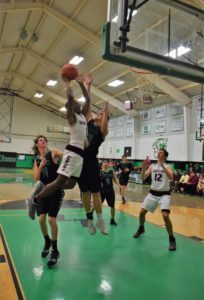 Fresh off a third-place finish in the Bryan Mewbourn Tournament, the Sandies jumped ahead of the Tigers with a 10-0 run to start the game and never looked back as they coasted to an 86-35 win over Latexo. In the first quarter, all but two Sandies found the scoring column as they were paced by seven from Deco Bryant and two three-pointers from Javion Joseph. Rick Frauenberger put in four from the paint while Josh “Bear” Ackley, Keizion Ashford, Cadarian Wiley and Tyrin Wiley all had two to give Grapeland a 25-7 lead after the first eight minutes of play. The Tigers’ points came from Tristan Curless, Eli Filer and Carson Hardy – all with two. Kase Miller converted one of two from the line to round out Latexo’s first quarter points. The second quarter was more of the same as the Sandies began to pull away. Ashford dropped in seven while both Joseph and BJ Lamb went for five. Ackley, Frauenberger and C. Wiley all had two which gave Grapeland a 48-20 lead at the break. Curless and Miller paced the Tigers with four apiece. Filer made an old-fashioned three-point play and Sam Jones hit a pair of free throws to close out the half for Latexo. The third quarter belonged to Ashford as he dropped in 10 points, yet struggled from the line, as he the Sandies open up a 73-27 lead after three periods of play. He was joined in the scoring column by C. Wiley with four to go along with two apiece from Bryant, Frauenberger and Joseph. Filer added five to the scoreboard for Latexo while Hardy chipped in a two as the Tigers found themselves staring up at a 46-point deficit with eight minutes left to play. d to drain the clock but still managed to drop in 18 points. Lamb led the way with five while Jack Woodford added four. 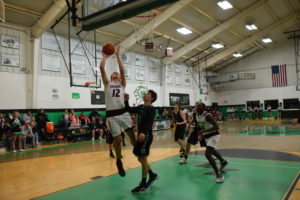 Ashford chipped in three while Ackley, Bryant and Wiley all netted two, which gave Grapeland an 86-35 win over Latexo. Miller had three in the fourth for the Tigers while Filer and Matthew Wheeler added two apiece. Clay Cook made one of two from the charity stripe to close out the Latexo scoring. On the game, the Tigers were led in scoring by Eli Filer with 12 points. Kase Miller netted eight and Tristan Curless had six. 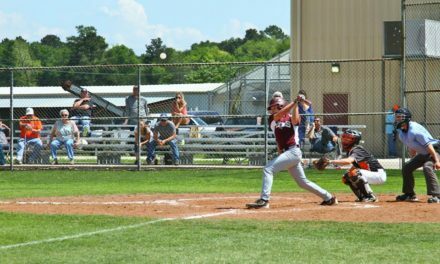 Rounding out the Latexo point production, Carson Hardy had four while both Sam Jones and Matthew Wheeler chipped in two apiece. The Sandies were led in scoring by Keizion Ashford with a game-high 22 points. 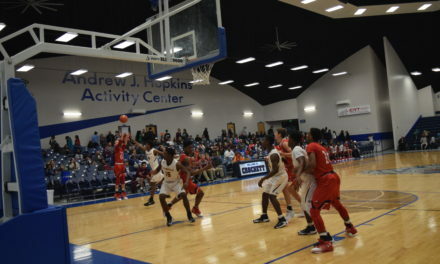 Javion Joseph and Cadarian Wiley added 13 apiece, while Deco Bryant knocked down 11. 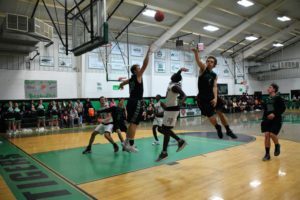 Rick Frauenberger had eight, Josh Ackley went for six and both Tyrin Wiley, as well as Jack Woodford, had four apiece. The Sandies were back in action on Friday, Dec. 21 against the Snook Bluejays but as of press time the score was unavailable. 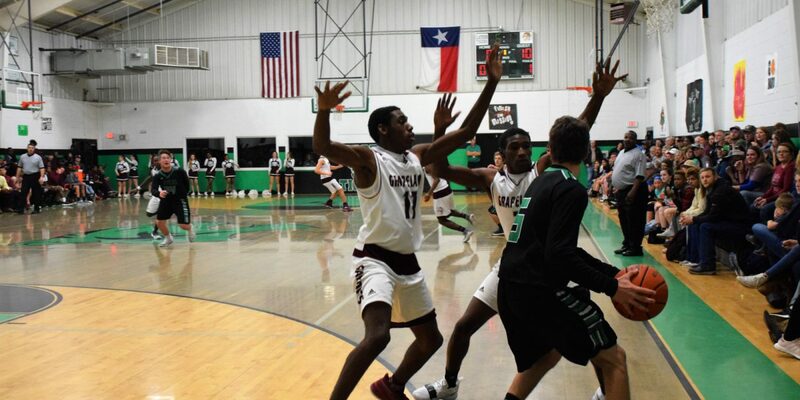 The Tigers were also in action on Friday as they traveled to Leon to take on the Cougars. As of press time, however, that score was also unavailable. 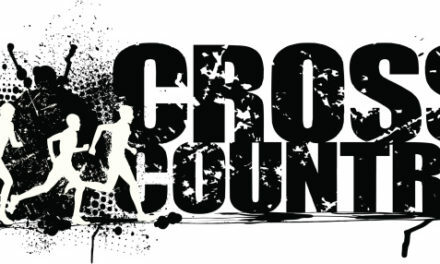 NextIt’s Tournament Time in Houston County! !